I knew his voice before I knew the man. Or I should say, I knew is voices! I grew up watching Bugs Bunny, Daffy Duck, Porky Pig, Tweety Bird, Sylvester the Cat, Yosemite Sam, and the Tasmanian Devil every Saturday morning as a kid. 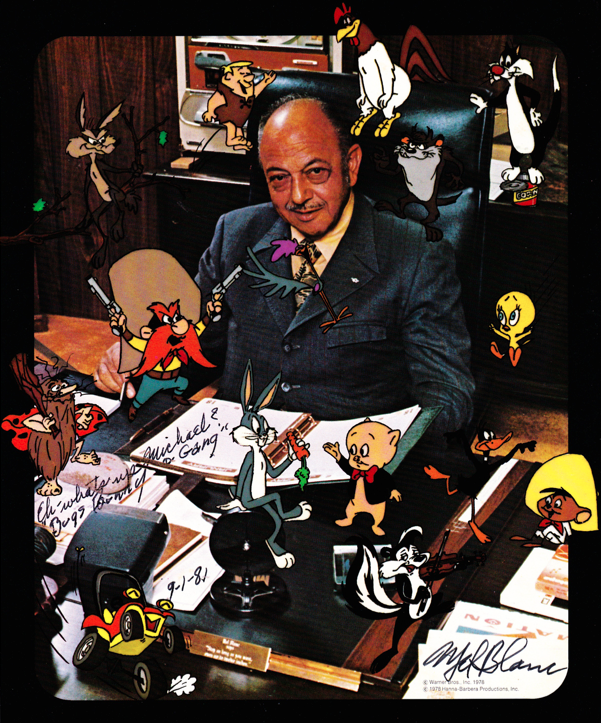 I never knew, until I was a teenager, that Mel Blanc was the voice for all these cartoon characters that helped shape my life. It was on this day (May 30) in 1908 that Mel Blanc, the man of 1,000 voices, was born. Wonder whether he heard these voices in his head as a youngster? 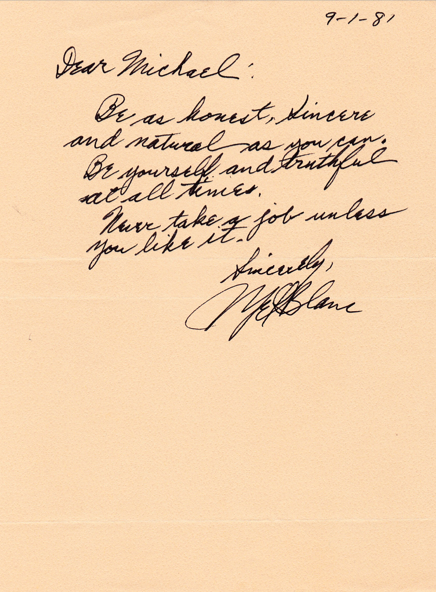 In the early 1980s, I wrote this legend and asked him the question I often asked in those days: “What advice would you give a young man just starting out in the world?” Here’s what he said. “Be as honest, sincere, and natural as you can. Be yourself and truthful at all times. I’ve done pretty well with his first two nuggets of truth. I should have listened a little more closely to the third. Mel also sent this really cool portrait of himself surrounded by my childhood buddies. “Eh — what’s up, Michael?” he inscribed. It’s days like today that I really miss these old-timers.